Belle and Quasimodo. 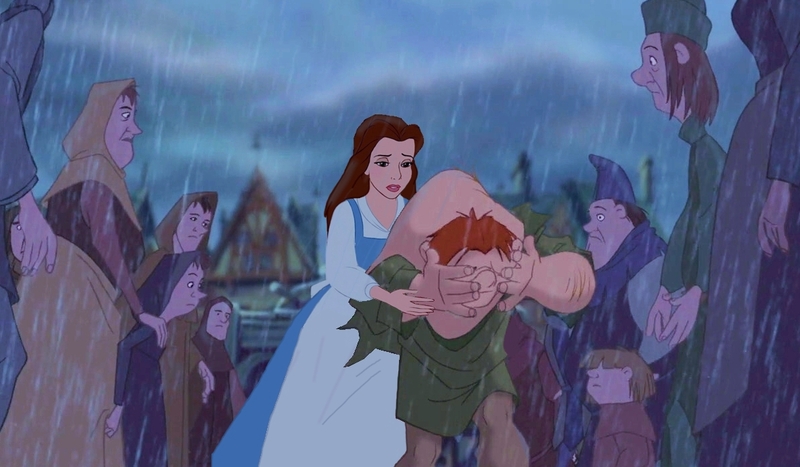 this picture belongs to Kristenfan10109 Fanfic "Beauty" Belle is helping Quasimodo to go back to the catedral. HD Wallpaper and background images in the ディズニーのクロスオーバー作品 club tagged: disney belle crossover disney crossover quasimodo.